Not everyone leaves school or college knowing what they want to do, if you have your dream career mapped out it, it can be devastating when you think that could all be jeopardised because of a few grades. It really is disappointing when your grades aren’t what you expected, the feeling of failure, thinking you have just ruined your future career and on top of that watching everyone around you celebrate because they have done so well, but don’t worry there are lots of options still available to you, all is not lost. GCSE’s and A Levels can be retaken but I know for some the thought of having to do it all again is frustrating and depressing. Depending on the career you want you could start work almost immediately! Had you considered an apprentice role with vocational training? This is a great way to kick start your career and earn a bit of cash while doing it! Apprentices are usually required to attend one day a week at a training institute to study for qualifications. Most will last approx. 2 years but you have the head start because you will not only have recognised qualifications but all important industry experience and a work reference. The other bonus to this is that you do not have any student loans to pay back! This is the route I took when my dream of joining the RAF fell apart. Not really knowing what else I wanted to do as this had been my focus, I took a trainee role where I completed an NVQ through day release to a local college. Just because the grades you have are slightly lower than you need for the college/University that you wanted to go to, doesn’t mean that you cannot do a similar course at another education facility, it may not be your dream venue, but lots of people have done this and not regretted it. It is worth bearing in mind whatever you decide that a large percentage of people change careers completely before they retire, I know I have! I am a true believer that all things happen for a reason. If I had joined the RAF I wouldn’t have finally stumbled into the world of recruitment… an industry that I love! I couldn’t picture myself anywhere else now and took a roundabout journey to get here! For many of us, our jobs are very important. Not just as a means of earning money but because of the status perhaps that it affords us. If you are the CEO of a big company, for instance, that gives you a clout that you wouldn’t have if you just worked on the shop floor. For some people their job defines their place in society, it reflects the level of success that they have had up to that point in their life, and it gives them large elements of self esteem. But there are some jobs which confer an even greater level of status on the person doing it, jobs which become so closely associated with the doer that the job actually starts to define that individual, making the occupation and the person one and the same. The fact is, being a magician is not just a job, it does become an identity. The skill set required to perform magic is considered by most people to be unusual, often interesting, and certainly not run-of-the-mill. It is almost as if you don’t choose magic, magic chooses you, and certainly my association with it goes right back to when I was just 6 years of age, a time at which I most certainly wasn’t considering my future career options. There are advantages and disadvantages to this situation. The main disadvantage is that when you are not working and are out socialising or trying to relax, you are still the magician. So if you are at a party and someone asks you what you do for a job, the moment that you explain that you are a conjuror, you cease to be just another guy with a job, you instantly transform into this Harry Potter like being! Usually people hope that you will immediately start performing miracles for them, and you can’t avoid it by saying, “Sorry, I only do that stuff between 9am and 5pm, Monday to Friday”, because it just doesn’t work like that – the person and the job are permanently welded together. But there is a big upside to this situation, and that is that the novelty and memorable nature of the job helps to make you memorable too. At the networking groups I attend I often get people who comment, “Oh, yes, I remember you, you’re the magician.” Notice that they don’t comment that I am the person who does magic for a living, but I am the magician. See, job and person inextricably linked. Very helpful! The wider point about all this is that one way to be memorable is to try to get people to identify what you do with you personally. Even if you do something that many others do too, if you succeed in making yourself the high profile ‘go-to’ person for that line of work, you will reap the benefits, because others will start to think of you first if they need that product or service. People prefer to do business with people, and so linking your job indelibly with you personally should help to ensure that you get more than your fair share of enquiries. Others have succeeded in doing this. Colonel Sanders and Kentucky Fried Chicken. Richard Branson and Virgin. David Beckham and football. These people are the faces and the spirit behind their businesses, even though they end up being huge brands. David Beckham has retired from playing football now, but there’s probably hardly a person left in the world who doesn’t know who he is and what he did for a living. The job and the person, tied together in people’s minds. For over 30 years I have been earning my living from magic, and I do feel that what I do is not really a job at all but is more an extension of my personality, of who I am. No, you can’t easily turn it on and off, but I love the fact that my networking colleagues all refer to me as the magician because let’s face it, most business people would kill for that level of instant recognition! Launched in Dorset in 2009, the Venus Awards aim to recognise as many businesswomen as possible. 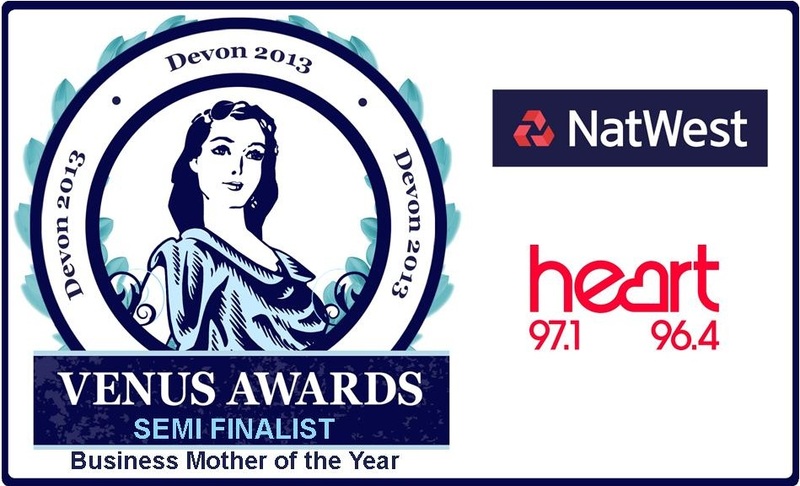 In January 2013 nominations started for the Devon NatWest Venus awards. Gravitas Recruitment (SW) Ltd were delighted when company Director Alana Carroll was nominated for The Business Mother award. We were even more excited when Alana had been selected for the semi finals! The semi-finalists will now need to get the public voting to make the final three. We would be so proud if we could help Alana to the final. We would be really grateful if you could spare a moment to visit Devon – Public Vote – Venus Awards and click the ‘Vote Now’ tab below Alana’s photo. We would also like to thank everyone for their continued support, it has been such an amazing experience so far. I met a gentleman recently at a networking event that really stood out for me; what he said really made me smile. He loved his job, it was so obvious that he had a real belief in the company, their ethics and what he did. 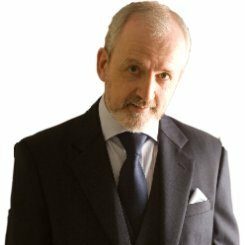 He is a paralegal for a solicitors firm that specialises in will writing, which most people wouldn’t be excited about but his enthusiasm and excitement was infectious. I believe that almost everyone has at some point been in a job they didn’t enjoy, would dread going to work, watch the clock all day until home time finally arrived and make a run for the door! 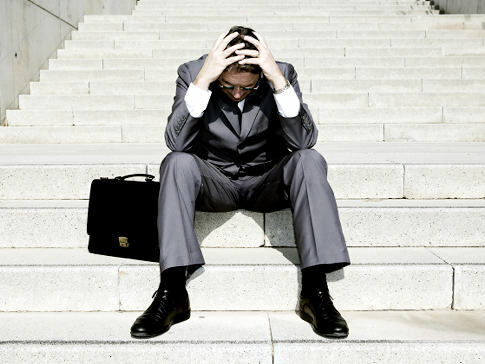 The impact the wrong job for you affects your whole life, can leave you feeling drained and agitated. I have an amazing job, not everyone is suited to recruitment but for me it is perfect. Like the networking gentleman, I believe in the company I work for, their ethics and the people I meet along the way. My first interview with our company director showed her passion and honesty, characteristics that make a great boss and ultimately a great place to work. Recruitment is a tough business to be in, the competition is fierce, the hours can be long and you need to be a mind reader some days, but I love what I do and wouldn’t change it for the world. The best part of my job is that I am helping other people feel the same way about theirs, taking the time to get to know our clients and candidates so that I can match the right people and companies, so that there is a culture fit alongside the relevant skills and experience needed. I can’t imagine working anywhere else now and would urge anyone that doesn’t feel fulfilled by their job to re-evaluate, the ‘perfect ‘ job is out there, it took me until my 30’s to find mine, don’t give up hope! Well where do I start…..
Having been on both sides of this I wanted to share some of my thoughts on why CV’s don’t get progressed further! Did you know that a according to theundercoverrecruiter.com, a recruitment consultant looks at a CV for an average of 5-7 seconds? Your CV is the first impression recruiters get of you, getting it right is incredibly important, be your own ambassador and show off what you can do! Just yesterday I opened a CV for a role I am working on; there wasn’t a single piece of evidence in the CV to suggest that the candidate would be suitable for the vacancy he had applied for! I emailed him asking to detail his relevant skills, qualifications or experience and was quite shocked that he was qualified for the vacancy but simply hadn’t put this into his CV! Quite often with the volume of CV’s that recruiters receive they aren’t able to contact candidates like this one and only consider the CV’s where the relevant information can be picked out easily. Use the job description from the role you are applying for as a content guide to ensure you have the relevant information covered. So how can you make your CV stand out? You don’t have to be an experienced writer to compose a successful CV, you simply need to make the relevant information stand out easily, bullet points are always a good way to make your key skills easy to find and keeps the CV looking clean and precise. Keep it short and to the point, it is nice to have an opening line about yourself but you really don’t need to write an essay! The person reading it will lose interest and in some cases not look any further than that. Proof read, proof read again and then, get someone else to proof read it! I am still amazed by the amount of spelling mistakes, doubled up words and silly errors I find in CV’s. I am not a copy writer, I have issues with spelling and do use my spell checker more often than not, but even that gets it wrong sometimes! It is always a good idea to have fresh eyes on it because you will automatically read what it is supposed to say and not pick out the missed word etc. I have seen some bizarre photos on CV’s too, my favourite was a professionally taken photo, and the back drop was the sort I had for my children when they were toddlers….. Fluffy clouds and stars all finished in pastel colours….. Do I need to say any more!? It really doesn’t benefit you having a photo on your CV even if it is a beautiful picture! If I progress your application further, I will take the photo off of your CV before I pass it to my client! Do you have a high staff turnover? Some industries do tend to have a naturally higher staff turnover than others and it can become time consuming and costly advertising vacancies, sifting through CV’s and interviewing. Getting to the root of the problem is the best solution. How can you find out why your staff turnover is higher than you would like? * Questionnaires sent to former employees around six months after their departure. While companies do conduct ‘exit’ interviews to try and ascertain the reasons behind a departure, because of the necessity to obtain a decent reference, people often tone down or completely fabricate their reasons for leaving. Analysing the data can provide valuable feedback to improve staff retention. What measures can you take reduce this from the outset? * Ensure those being recruited have a more realist idea of what the job entails. * Improved career development opportunities. * A practicable means of dealing with bullying. * A good work/life balance. * A mechanism for staff to register dissatisfaction, whether it be appraisals, grievance proceeding and so on. * Leadership training for managers. Your ultimate aim should be to make every employee feel valued and proud of the work that they do. To develop a work culture that encourages diversity and creativity. There should be effective anti-discrimination policies in place that promote flexible working, where possible. Adopting a strategy for staff retention is not easy but it will greatly benefit your organisation. 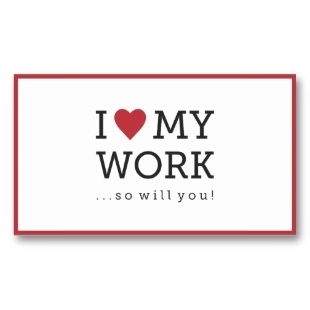 If you have a happy work place, you will have a happy team! I think everyone is guilty of saying this at one time or another, I know have! Most of our daily lives are spent at work, so if you really hate your job this can be a really depressing situation but you are not alone. A huge percentage of the candidates I speak to are looking or a new opportunity because they are unhappy where they are currently working. There are steps you can take to help ease the grey feeling and make your work life more bearable until you either resolve the issue making you feel this way or move on to a new challenge. My advice is to tackle the problem in the first instance. Sit and think about how long you have been feeling like this. Have you felt like this for some time or is it a recent development? Was there a particular factor(s) that has made you feel like this? In a job you are not well suited to. There are ways to reduce this feeling and start to feel job satisfaction again. Keeping your feeling bottled up will only lead to more misery, but choose the right time and place to vent. Obviously it’s not a good idea to rant in the workplace as this can make a bad situation worse. 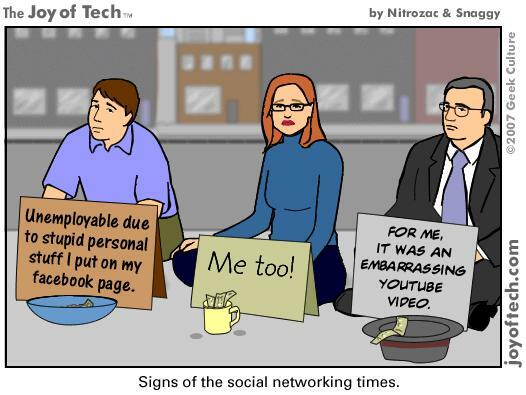 Social media sites can be a bad place too (search #Ihatemyjob on twitter!) Talk about it with your family and friends, this can often help put things into perspective and they will be able to offer advice and support, just doing this one simple thing can help relieve some of the pressure you are feeling. Make time for yourself. This is good advice whether you hate your job or not. It’s easy to get into the painful grind of sleeping, working and eating. Choose an activity that you enjoy (anything from working out to reading the paper) and apply it your morning routine; that way you’ll be getting up for the activity, rather than the job. Get some fresh air and break your day up. During your breaks go outside, take a quick walk or just sit in the fresh air. This break will give you chance to clear you head and set you up for the rest of the day. At a previous employers, a colleague and I took chairs into the car park to sit and eat lunch during the summer months and loved it! I know I am far more productive after getting out in the air for a break. Have a giggle! Laughter really is the best medicine. Scientists believe that humour can enhance your ability to cope with a number of situations by giving you perspective and helping you to see that the problem is manageable. Keeping your sense of humour will allow you to be optimistic in the face of adversity, which will help you keep the ball rolling forward every day. Try watching a sitcom in the evenings instead of dramas, this will help lift your mood. Make the most of your free time. If you spend eight hours a day at work, and eight hours sleeping, that leaves you eight hours all to yourself. When you let a bad day at work take over your life, you’re letting the company steal your time without paying you for it. Release tension by dropping in on a friend for a cuppa, go see a movie or, have a meal out on a Tuesday night for no reason at all but leave work and work issues behind when you leave at the end of the day. It is very easy to let it take over your life. If your problem at work is caused by something going in within the company dynamics or the cut throat nature of the business, chances are that some of your co-workers probably feel the same way. Assuming that you get on well with your co-workers, arrange an evening out, go bowling, go for a few drinks after work and support each other, knowing you are not alone will certainly help. Have you ever considered that your social media presence could be damaging to your career? Most recruiters and companies are using social media sites to enhance their recruitment or online presence but there are downsides to this for candidates and employees if you are not thoughtful about what you make public. In the UK alone there are 33 million Facebook users, approx. 10 million twitter users and over 5 million LinkedIn users. This means that the likely hood is that you and your employer or prospective employer will have mutual friends/contacts. In recent years there has been an increase in the number of stories hitting the news showing how people’s personal online presence has got them in trouble at work and in some cases lost them their job. In November 2012 Lindsey Stone, the Massachusetts woman who posted a photo of herself giving the middle finger in front of the Tomb of the Unknown Soldier, lost her job. Stone’s employer, Living Independently Forever, Inc. announced that both Stone and another co-worker who took the photo were no longer working at the company after thousands of people rallied for the pair to be removed from their jobs, after finding their photo’s disrespectful and offensive. Cameron Reilly hit headline news in April 2011 for his detrimental rants on Facebook. According to the Daily Mail Reilly, a Palace guard was been banned from the Royal Wedding parade for his detrimental rants on Facebook about Kate Middleton after she apparently ‘snubbed’ him. In November 2008 13 Virgin Airlines crew members were fired after publicly discussing aspects of their job on Facebook – they shared the number of times that certain airplane engines had been replaced and that the cabins were infested with cockroaches before badmouthing passengers. Many employers now have social media content included in their employment contracts allowing instant dismissal if you are found to be posting any content that could be interpreted to be racist, offensive or could damage the company’s reputation. Social media is only a hindrance when someone’s actions online are in conflict with the image they wish to present, such as a professional job seeker with endless photos of drunken parties. If the social media profile is in alignment with the image the person wishes to project, then it shouldn’t affect them professionally. Social media can allow you to learn more about people and companies than could be gathered from conversations and can also help to find friends and former peers now working for an organisation that could employ them. Social media helps those who are responsible in their actions and image and only hurts those who are careless in their actions or whose real life is contradictory to what they wish to present in their work life. One of the responsibilities of having a social networking profile is making sure that the information you present is legal, ethical, and moral. If your social media presence compromises the ethics or the image you wish to present, then you need to bear in mind that there could be undesired consequences. Interviews, How do I prepare? Interviews can be daunting, especially if you haven’t been interviewed for a long time. The build-up is often much worse than the actual interview. Most of our hints and tips are common sense but will help you to create a lasting impression. Preparation is the key to confidence, fail to plan, and you plan to fail. Find out about the organisation, recap the responsibilities of the role and write down where and when you have previously performed the tasks required for the position you’re applying for, you may have done this already in your application but it will help later on if you do this again. Plan everything, this way your stress levels shouldn’t rise much! Decide what to wear, making sure it’s washed, cleaned, polished and ready to put on the day before. Make sure that you know exactly where to go and how to get there (I have always done a dummy run of the journey before an interview so I know the route and how long the journey is.) always leave more time than needed for the journey; arriving late is never a good first impression. Make sure you have the company phone number and your point of conatcts name close to hand on your journey so if for any reason you are going to be late, even if only by a few minutes you can ring ahead and let them know. Always dress smartly even if you know or suspect that the dress code in the company is ‘smart casual’. Appearances shouldn’t matter but you are often judged before you utter a word for example if you are applying for a front of house role and arrive looking scruffy you will not be doing yourself any favours! Dressing one level above the job you’re applying for shows a desire to succeed. Shake hands when you’re introduced. It’s a formal situation, so even if you were asked for an informal chat, treat it as you would any other interview. A hand shake can tell a lot about you; a loose, limp handshake shows a lack of confidence but a very tight a grip shows aggression. Listen carefully to the questions and think about your answer. In the heat of the moment, when the pressure is on it’s easy to miss what is being asked. Focus on the question, if you don’t understand or don’t take the question in, it’s fine to ask your interviewer to repeat the question. Interviewers will make allowances for nerves – they’re used to it! Take a moment before you answer, this is where a ‘prop’ can be useful. If you’re offered a drink accept it whether you’re thirsty or not. Take a sip before you answer a question, to give yourself time to collect your thoughts. If you crossed referenced your skills and have written them down during your preparation, the answers should stay with you making it easier to answer work and experience related questions easily without needing to collect your thoughts. Answer every question honestly and openly. Be confident and positive about your strengths, but don’t waffle! If you can’t answer the question (after having listened carefully, asked for clarification, and taken a sip of your drink), say so. Remember, interviewers are not trying to catch you out; they want to find out about you. They will be more impressed with honesty and willingness to learn than with bluff and bravado. If you ask the right questions at interview it can show you have done your research, there are lots of topics you can ask about providing the topics haven’t already been covered by the interviewer; management style, reporting lines, your responsibilities, products or projects. It’s not appropriate to ask about terms and conditions of employment (holidays, for example) nor about salary. It looks as if you’re only interested in the money and yourself, not the work, ask about those when you’re offered the job. You are now fully prepared for your interview, Good Luck! Is one of your News Year’s resolutions to find a new job? It is quite common for people to start searching for a new opportunity once the Christmas period has past, but what should you be doing? Make sure you have a suitable email address, for example hot_stuff@myemail.co.uk doesn’t set a good first impression, something along the lines of mynamecareers@myemail.co.uk will show you are serious about your job searching and if you use an email address for this sole purpose you can easily keep track of your sent and received emails without having to set up lots of separate folders. Make sure your CV is up to date and in either Word or PDF format. Have copies of your CV and cover letter ready to edit. That way you can change the content to match the requirements of the job you’re applying for but, the contact information and your opening and closing paragraphs won’t need to be changed. There are some great free templates available to down load for CV’s, which can be personalized here; http://www.dayjob.com/content/blank-cv-template-630.htm. 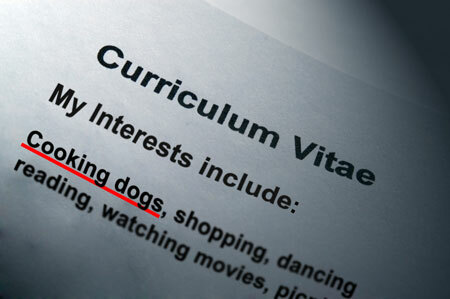 If you are not sure that your CV is creating the desired effects why not visit www.TheCVstore.net for a free CV review. If you haven’t already, visit www.LinkedIn.com and sign up, recruiters and companies are using LinkedIn more and more for advertising their vacancies and searching for candidates. Follow the recruiters and companies in your desired location to get updates on the vacancies they are working on. Facebook is commonly used by agencies too so like some relevant recruitment company pages in your area to see their vacancies on your news feed. Search job websites and recruitment agencies websites are the most common and fastest way to find suitable vacancies. Most of the sites will have filtering option to narrow your so that you only see relevant vacancies. Jobs by Email. Let the jobs come to you. All of the major job sites have job alert options, you simply need to complete an online then new vacancies will drop into your inbox. The frequency of the emails you receive will vary from site to site. When you register with a recruitment company; you are allowing them to add your details to their mailing list too.